Directions: Hallstatt is in the Austrian Alps (Upper Austria near the border to the Steiermark). There is no big city nearby. 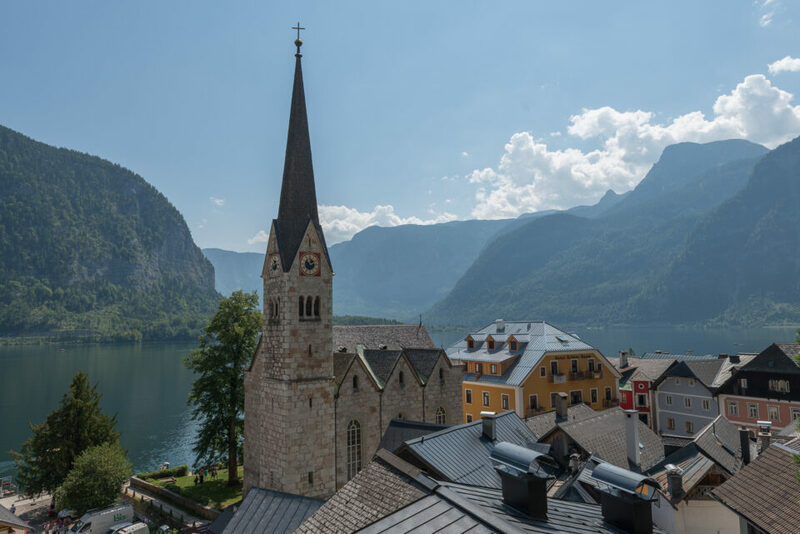 Follow your GPS and you will have a pleasant drive through the Alps and reach the village of Hallstatt at Lake Hallstatt. We have chosen road no. 166 and finally the small but beautiful road L547, directly at the shore of the lake. 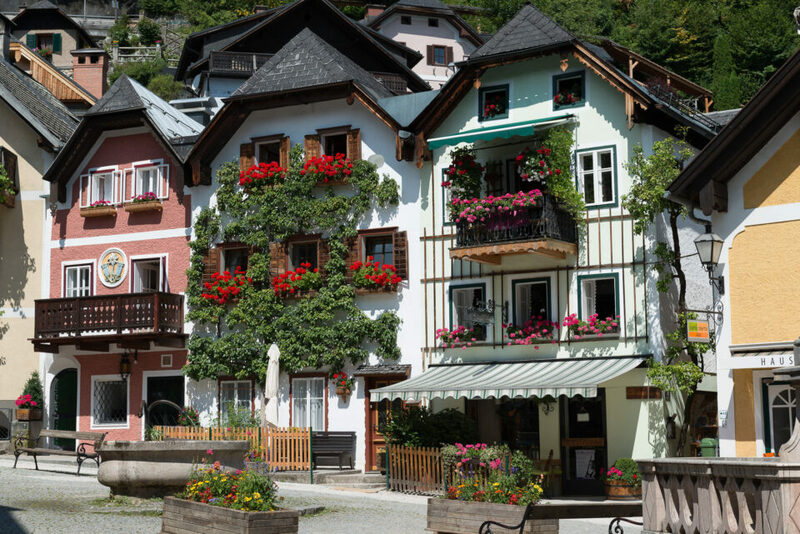 The best time to visit Hallstatt is late spring or summer. Also a nice day in the autumn may be ok. But be aware that every month has more than 15 days with rain. This means there is no guarantee to have the best possible weather during your visit. We had a hot summer day, but I can imagine that also foggy weather may be nice to take a totally different kind of photos than we did. For the best light in the summer you should take your photos in the morning or in the (late) afternoon. Tripod use is allowed at all places, but it is only necessary if you want to take long time exposures, panoramas etc. The village of Hallstatt is a good place to try different camera settings. Take landscape shots with f11 and details with a prime with wide open aperture. My tip is to use base ISO and a high resolution camera (we had a Nikon D800) to take full advantage of the best available dynamic range and to capture every detail (for cropping and to discover details that you perhaps missed during your visit). It is recommended to visit Hallstatt with your own car. Parking is possible. We made a 2 week long tour through the Austrian Alps with a cabriolet (convertible). It was a great experience to drive through the mountains with an open car. Our advice is to take small roads. They are more beautiful. Your GPS will help you to have a relaxed drive. Drive also the Grossglockner Mountain Pass (road has to be paid – but it was worth every penny!). 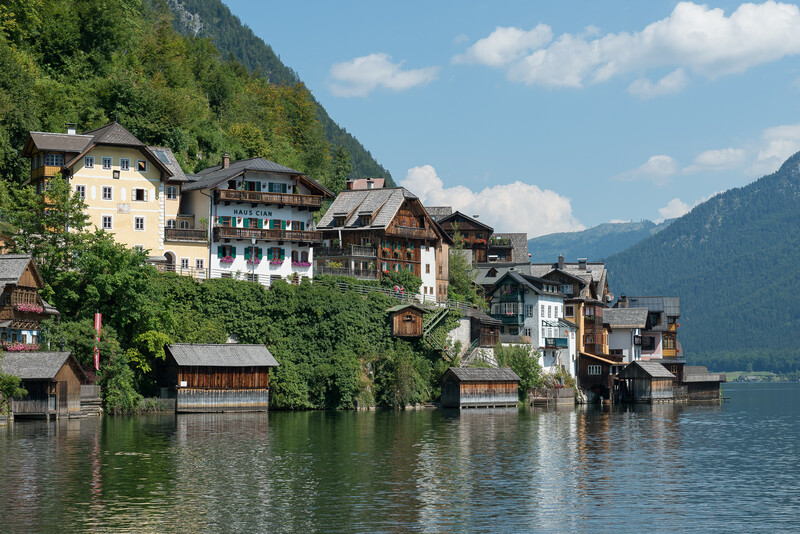 So, visiting Hallstatt was only one of the highlights of our tour.